Ekwusigo town is a popular local government area in the heart of Anambra state, which could be traced in the southern part of the country’s federal capital. Ekwusigo lies in the southeastern part of Nigeria, the town is closed to Onitsha and has its headquarters in Ozubulu. Ekwusigo consists of four towns namely; Ichi, Oraifite, Ihembosi and Ozubulu, this town in Ekwusigo also give birth to so many villages and this makes Ekwusigo a big landmark. As of 2011 census carried out by the state government proves Ekwusigo to have a population of 182,240, now Ekwusigo population will surely be great in size. The people of Ekwusigo are not lazy but are mostly farmers, hunters, teachers, motorcyclist, traders, civil servant, Doctors and other professions. Life in Ekwusigo is what we call “as you led your bed so you lie on it”, the Ekwusigo people are well known for their trade lifestyle. Every indigene in Ekwusigo knows how to increase the value of its product, for instance, an Ekwusigo son can start a business worth of 5,000 nairas and growth to 500,000 within a short time. The people of Ekwusigo are few traditional worshippers or they can be better described as idol worshippers and Christianity has a greater mark of worshippers in the town. “Akpu” deity is what some elderly people of Ekwusigo practice till date, those bald headed men will tell you that they are worshipping the gods of their father and that they can’t bow to the gods of another man’s land. Ekwusigo has a total number of 36 government built primary school scattered around it 4 major community which are Ichi, Oraifite, Ihembosi, and Ozubulu. The town also has eight secondary schools which are only boys, only girls and mixed for one to make a choice. The local government council is doing everything possible to make sure that it indigene are well educated and understands the value of education. There are few cities that are closer to Ekwusigo and these are Makurdi, Benin, and Enugu. The people from the earlier mention cities find their way to Ekwusigo for their various purposes. About 4 international airports and 1 local airport are close to Ekwusigo but the international Airport of Asaba is the closest to Ekwusigo. The dominants of Ekwusigo delight so much in what they eat and don’t joke with what goes into their stomach, most of the food eaten in Ekwusigo are Abacha (African salad), Palm wine and Isi-ewu (goat meat), Ukwa, Olubu soup and fufu, Nkwor-ubi, Orha soup, Archi soup, Egusi soup, and many more. They also eat the Nigerian general food e.g. rice and stew, jollof rice, coconut rice, rice and beans, yam, water yam, potato, yam pottage and porridge. Ekwusigo speaks all kinds of languages because there are other tribes in the town, some speak Hausa, Yoruba, Igbo, English and broken English. But Igbo language is wide use throughout the state that other languages. 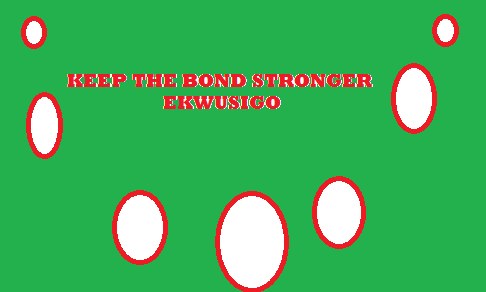 Ekwusigo is a developing town, it has several basic amenities and infrastructure, the roads, hospital and schools are well built and constructed. There are pipe-borne water and electricity supply throughout the town. Life is good in Ekwusigo and its occupants are living happily.